Two steps forward, one step back is how I'm feeling about open adoption today after reading family-expert John Rosemond's recent column about a 14-year-old who "now wants to go live with his birth-mother." The adoptive mother writes that at the onset of the adoption, the first mother was out of the picture even though there was an open-adoption agreement. A few years ago she phoned, saying she had changed her life, and "wanted to re-establish contact with 'her' son." Phone calls led to visits, led to overnights, and apparently eventually the teenager wanted to go on vacation with her last summer. Whether or not he went is not included in the column. The teens grades have taken a nose-dive, he's become difficult to live with and now, the column question is framed: "He’s told us he doesn’t want to live with us anymore. I think he believes there will be no rules with her and he’ll be able to eat ice cream all day long, figuratively speaking. What should we do?" Surprisingly, Rosemond says that he has heard variations of this many times and not so surprisingly, he states that is why he has been against these open-adoption arrangements from the beginning. According to him, they turn into a nightmare when the child enters adolescence and begins contact with the "birth mom." He adds that this is the reason that so many go overseas to adopt rather then "risk having to deal with courts and social services agencies that have seemingly low regard for their emotional investment." He goes on to rail against modern society, judges who sometimes fail to understand the emotional investment parents have put into adoption and says that their son doesn't know what is best for himself, and neither does his birth mother either. "If she did, she wouldn’t be engineering this from behind the curtain. Of the players, only the two of you truly know him and have his best interests in mind." He advises the adoptive parents to get a good family lawyer, adding that their son is "captive to his feelings." Rosemond ends with: "That's not a good thing at any age." Rosemond sounds like he would have been a good Nazi, not "captive to his feelings" at any point. One could go off in a fugue about how the man must live his own life, but I'll leave that there. I am going to start off by saying that adoptive parents facing this situation must be gobsmacked and extremely hurt and upset, and all that is understandable. No one prepared them for this. When they signed an open adoption agreement, they never imagined it would lead to this. For the sake of levity here, let's assume that they were generally good parents, and had hoped to have a long and loving relationship with their son. But their assumptions are what is wrong with adoption today: that the pull of blood in some adoptions may be so strong that the whole adoption is emotionally overturned at some point. We've heard from many adoptees who go up, down, and around their adoptive parents to try to find a way back to the mothers they were born to, the families they feel comfortable in. We've written about adoptees who want to have their adoptions overturned. We've heard from adoptees who feel that they should be able to "undo" the adoption themselves when they reach adulthood. This may be a small minority, but still--they exist. However none of this apparently reaches more than a very small percentage of adoptive parents. For some, it is as if none of the noise that we first mothers and adoptees have been making over the last half century has reached the greater adoptive world. When I meet adoptive parents who deal with adoption as it is for the child, or hear from parents like our commentator Tiffany, or 2nd Mom, or Jay Iyer, or the adoptive mother I met at the kinship conference I attended last fall, or the head librarian in my village, I want to applaud. I know they are rare. Those of you who have read my memoir, Hole In My Heart, know that after I found my daughter at 15--close to the age being written about here--she began spending whole summers with us, with her parents's blessing. Later her daughter did the same, starting when she was seven. In her twenties, my daughter lived with us briefly and went to a nearby community college. 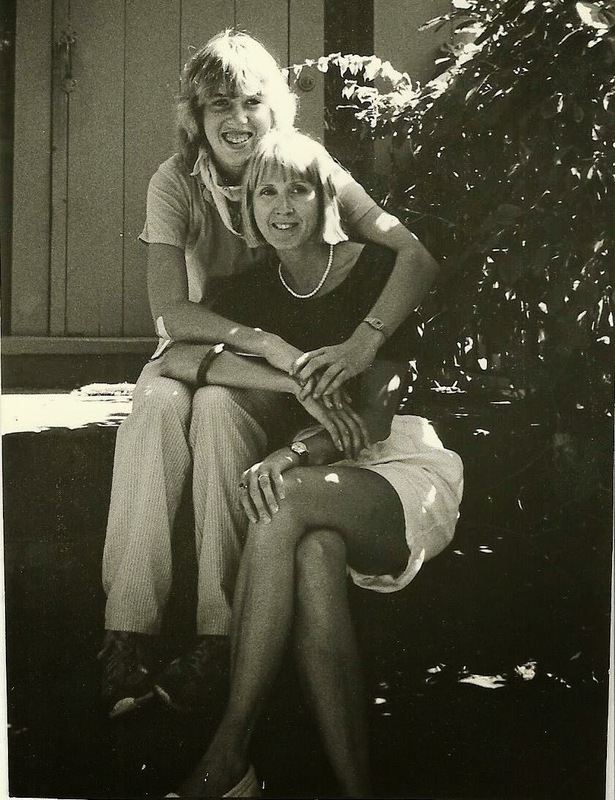 Our relationship was often rocky, but so was mine with my mother, and I wasn't adopted. My daughter and I continued on until she died, 26 years after we were reunited. Her absences would be countered by periods of warmth and closeness. Her adoptive parents dealt with our situation as it was for years with feeling and understanding (yes, there were difficult moments), the opposite of what Rosemond suggests these people do. My daughter's adoptive parents understood that our daughter--that is what her other mother referred to her as--had two sets of parents, and it was good for her to know both. Thanks to Cindy for alerting us to John Rosemond's column. Though it says somewhere that he is "the nation’s leading parenting expert and provides common-sense advice for raising your children," we fear for our future if that is true. The title alone ought to turn off some prospective adoptive parents. BE A SUPPORTER OF FMF--ORDER FROM AMAZON THROUGH THE PORTALS HERE. THANKS SO MUCH TO THOSE WHO DO! I pray for this day. I was the sixteen years old sold on open adoption as the perfect solution to my "problem." I saw my daughter frequently when she was a baby, even babysitting her (imagine that, the "honor" of babysitting my own child). Then they moved. So when I graduated high school, I went to college near where they moved. In my junior year they moved again. They cut off contact and I was left with a big empty hole for NO REASON! She's now ten years old. I have a good job and am establishing myself in a career. So when she's fourteen, I hope she finds me. I will gladly take her in. I'll have all those "means" they said a baby needed ten years ago. All she really needs is me and through adoption, she's been denied that and forced to live a lie as someone else's daughter. Do you know if it's possible for an adopted child (when he/she) turns 14, or any certain age, to choose to come back to a blood relative (or a mother or father) who is completely fit to be a parent?? ( this is after adoption is finalized of course) i am in a similar situation, except im the child. please get back to me. To my knowledge, no child, adopted or bio, can choose to live outside his parents' home unless the parents agree to the arrangement. In cases of abuse or neglect, the State can place the child in a foster home but the child does not get to choose the home although his wishes may be taken into consideration. I'd be harder on this "so-called" expert, Lorraine. He has no business giving advice on adoption. Recommending that adoptions be closed and that would-be parents adopt from abroad to ward off contact between the adoptee and his natural parents is not only wrong but down right cruel. And it doesn't work. Adoptees from the closed era are getting laws passed all over the country unsealing records and connecting with their natural parents. Intercountry adptees are over-coming great odds to reunite. Several have written powerful books about their reunions. One of these books, "Loon" was made into an Oscar-nominated film. That adoptees in open adoptions want to re-join their natural family is likely a common occurence. A first mother I know told me that on his 18th birthday her son called and said "Now I can live with you." Rosie O'Donnell's adopted daughter moved in with her first mother when she turned 18. In her book "God and Jetfire", first mother Amy Seek writes of her young son telling her when she visited in his adoptive home "I wish you were my mother." The adoptive parents in this case make the assumption that the boy wants to live with his first mother because he has no boundaries at her home. They don't know this to be true but it's undoubtedly comforting to think this. Sadly, the adoptive parents may listen to this faux expert and decide to take "their" son to a shrink to deal with what is the most natural thing in the world, a boy wanting to be with his mother. It has been a while since I commented, although to be sure I never fail to read your writings! I cannot believe how glib Rosemond is being. A lot of the problems he identifies exist, sure, but to think that the solution is to eradicate the existence of the first family is naive, and impossible. You can never take your child's roots away from him/her. You can try to stifle it, perhaps, when he/she is a teen, especially through closed adoption or international adoption, but it is not going away. I agree with Jane that it is simplistic to assume the teen is looking for a "rule free" house. There are many complex emotions involved that run so much deeper than that, and to deny your adoptee child the chance to express them is fatal. You have to work with those emotions, acknowledge them, and see how best to move forward. A while ago, Lorraine had written about the TV show, "This is Us." I am addicted to the show - and to Randall (excellent portrayal of the wrenching emotions an adoptee wrestles with). Anyhow, I remember when Rebecca, the adoptive mom, in discussing with dad Jack why she cannot allow Randall contact with his biological father, exhibits the common insecurity of many adoptive parents: "We are enough for him. We HAVE to be enough." Also the scene where she tells Randall's biological father he cannot meet his son, that his son already has a great father. The truth is, us adoptive parents will never, ever be enough for our adoptee children. The challenge is to help them find a way to reach some level of peace, some way of incorporating both families into their lives in a way that is not traumatic (and sometimes that means the adoptee has to cut one or other family out of his/her life). We need to stop being in denial, nor offer glib black-and-white supposed "solutions" like Rosemond. We need to accept this far less than ideal situation our adoptee children have been placed in and acknowledge every emotion they feel as a result of it. An adoption - be it closed, open, international, whatever - creates an adoptee, and all of the ensuing (sad) complexities. Thank you so much Jay, for your comment. I wish I could say that I thought my daughter's adoptive parents would be "enough," but I knew even as the relinquishment was happening, that would never be the case. Yes, I continue to watch This Is Us with avid interest. The last show when Randall's biological father died as Randall held him in the hospital was wrenching. I was glad the added the ducks crossing the road, if not at the hotel. Because there are always so many reminders in life about what we mothers lost. Lorraine, I could tell from "Hole in my Heart" that at no point, ever, did you want to place your baby for adoption. One thing I loved about your stream of consciousness writing style was it made how hopeless you felt palpable to your readers. I felt as if I was there, with you, willing you to not do this, you don't want this. So of course you never thought Jane's adoptive parents would be "enough." And the truth is, they never are. Hugs to you, and yes, the last episode of "This is Us" took my breath away. Sad, yet perfect, how he got to have that time with his dad. Yose mite, I get that, a lot, especially from online commenters who don't know our story. I think it is a reasonable point of view. In our situation, that was impossible. Like, legally impossible. Our son and his siblings (and actually some cousins too) had to be taken away from their family (not just the parents) due to a very harmful environment. The children are not to have contact with the family, by court order, while they are minors. I cannot go into specifics beyond that. Sometimes, for the safety of a child, adoption is needed. Hard to believe, maybe, but true. In other circumstances, the right thing to do is to "get the kids back to their family." I have done that too, and even adopted the whole family. Sadly, that hasn't panned out very well either, but not due to lack of effort on my part. Jay has written about her personal odyssey. In one case, she did return a child to her natural mother. In another, that is not possible, and she is hoping to have contact with her son's family. We need not to be so quick to judge when we do not know the particulars. Yose mite, I had responded to your question, which I don't think is unreasonable. In my answer, I had mentioned some of the details (not in a very identifying way, but still) that resulted in us adopting our son. It looks like Lorraine opted not to post my answer, which to me shows her sensitivity to the childrens' situations - both the son we adopted and the little girl we reunified with her family (and we informally "adopted" her family too). Anyhow, suffice it to say that with our son, letting him live with his family and adopting his whole family, certainly right now, would not be possible. Future contact might however be possible, we are hopeful of that. Excellent comment, Jay, as always! As a non-adoptee/non-AP, it's been my experience that "more than one set of parents" or "parent" can be extremely nourishing to a child or teen who needs extra love and care. I might have turned into (more of) a psycho without the unconditional love, from my birth, of my grandmother. And I was HONORED to be considered a "second mother" by some of my sons' friends who spent a lot of time with me, for varying reasons but all mutually nourishing, as they grew up. Kids need a lot. I was very fortunate to be able to stay home with my kids as well as their friends. Our house was always full on snow days, minor Jewish holidays when school closed, etc. When I chastise myself about perceived lack of accomplishments, yada yada, I remind myself I did more than I give myself credit for. And for one day I was impersonated by Meryl Streep. MrsTarquinBiscuitbarrel, I love reading your comments! I think you are the quintessential mother. I am honored, Jay. Thank you. Agreed, we cannot put the whole adoption issue into little boxes and say this is the way to go or not. Each adoption is as complex as the individuals involved. Nothing is going to be easy from the moment the woman gets pregnant and has to make there life-changing decision. My heart aches for the adoptive parents when turmoil from adoption issues erupt in their family, but so does my heart ache for other birthmoms like myself, and of course the adoptees who struggle with all of this. That's why forums like this are necessary to vent our emotions, yes, but to try to understand the other side. Author of Finding Sarah Finding Me. Christine, I read the excerpt of your book on one of my other favorite blogs, "All in the Family of Adoption." It looks like an incredible journey to read about and I look forward to doing so in the near future. At no point did Rosemond suggest that the parents sit down and have a heart to heart talk with their son and his mother. (With perhaps the goal being shared custody for instance.) Why not start with that instead of escalating it into a legal situation by hiring a lawyer?? That's overkill to the extreme and completely overlooks the feelings of the child. I can understand being leery of open adoption when it is just a concept in your head - most people have a fear of the unknown. But once you meet the family involved and get to know them and build relationships, why can't a resolution be reached peacefully? You wouldn't hire a lawyer for other family conflicts! You'd talk it out and try to do what's best. And in this case it should be about what's best for the child and I didn't hear that at all from what Rosemond said. It sounded as if he was more concerned with the adoptive parents feelings and ego. No surprise there. Rosemond, a syndicated behaviorist columnist, on occasion, has something useful to contribute, often using common sense, no-nonsense, old fashioned family dynamic practices. So, it was surprising to me to read his holier-than-thou "solution" to the ongoing upheaval adoption can cause years later. Yes, Lorraine, Rosemond would be privy to the lifetime of damage and chaos derived from many adoption cases. Rather than question the core of adoption and its blowout, let's just fall in line and see adoption as a win-win for everybody, and when it backfires, we'll just hire henchmen to chase away the realities of a human rights need to find and connect with one's own birth family. Sheeeeesh! I remember back in the early seventies, after having my second daughter, I attempted to follow the current child behaviorist thinking, since my low self esteem, and total lack of confidence made me fearful that I could not raise my baby properly. I regret to date for following these book writers. Rosemond, rot in hell. Thank you for the kind recognition, Lorraine, but mostly, thank you for helping me become the type of AP who understands so much of this- it is in large part due to yours and other adoptee forums that I am able to understand these situations. In all fairness, most of Rosemond's parenting advice is nonsense IMHO, and I would follow pretty much zero of it. But then, I am one of those crazy attachment parents who prefers to understand the feelings and motivations behind an action rather than resort to straight out punishment or deprivation of some sort. Also, I find most of these sorts of advice columns nonsense since they lack so much of the context around a situation. That's definitely missing in this one. I can only say that as an AP, I would have approached this so differently. The acting out, so typical to the teen years, is almost certainly complicated by adoption and then further complicated by the additional stresses of an open adoption (these kinds of relationships are often difficult for adult adoptees to navigate- preaching to the choir here, of course- so for a teen, only that much more so). My first thing would have been to find a counselor who understand adoption (preferably an adoptee themselves) and take my teen to see them, not solicit the advice of an online source unfamiliar with the intricacies of emotions and challenges particular to an adoptee. Next, they say nothing of WHY the first mother is so unfit to be involved? They assume their teen will be able to do whatever. I discussed this with my husband this weekend, and we had the same take: so what if she doesn't enforce all the rules? It's summer. Whatever. So she lets him stay up late, eat junk food, play games, hang out. If she is making sure it is all safe and harmless behavior (no drugs, alcohol, etc), then what's the actual harm? None, except that she gets to be "fun mom." Well, that's kinda like grandparents and aunts. My father-in-law lets our kids do whatever when he's with them. Cookies for breakfast? Sure. Want some candy even though mama never even lets it in the house? Here's a bagful. Want to watch tv all morning in your pajamas and ignore your chores? Sure! He says to us, "Don't look to me to tell them no. They aren't my kids! I get to be the fun one now!" And it hurts nothing because he makes sure they are safe- it's just the "not necessary for immediate safety" rules he ignores. The APs want to be parents. They are. First mom is not the actual parent anymore, right? That's what the APs would say. So she must develop her own kind of relationship with her son, one that isn't based on being the parent of record and able to pull that kind of rank to keep him in line. She needs a little latitude in order to establish a relationship that isn't black or white and one that has no real guidelines on how to go about doing it. My heart hurts for this pair (adoptee and first mom). It sounds like they both want something between them, but are not getting the help from the APs to create it. As parents, AP or otherwise, we are not only called to protect our children in ways like making sure they get enough sleep, eat the right foods, go to school- basically, establish good boundaries for growing up into a healthy adult. We are also called to help them grown emotionally, and sometimes, that must take precedence over the other needs. Breaking some smaller rules would be favorable to crushing his heart. I don't want to share too much because I'm conscious that my daughter is getting older and it is more and more her story to tell as she navigates being adopted, but I've already dealt with similar questions from her, and I honestly wish that going and staying with her other parents was a viable option because it's something she wants. I wish these APs knew what an amazing chance this is for their son to bond with his mom and if he has expressed it is meaningful to him, they should jump at the opportunity. Very well said Tiffany. I suspect it is, as you say, that the first mother has become the "good time" parent. Judges see this all the time in divorce cases. Dad has not been involved much with the kids. After the divorce he is distant, perhaps has a new girl friend and resents all the child support he has to pay. As the kids get older and more interesting to him, he spend more time with them. He can't say "no" to TV, movies, candy, fast foods. Splurges on trips to the Mall, the amusement park. Mom goes nuts when kids say "Daddy lets me do it." She runs to court and asks judge to tell Dad to make kids do chores, east vegetables, etc. Wise judge says situation is not dangerous and it's good for kids to get to know their Dad. Times passes. Dad is tired of cleaning pizza off the sofa. Tired of kids asking for money. "What did you do with the last $20 I gave you?" Son gets into a fender bender and insurance costs sky rocket. In other words the situation resolves itself. So unless situations is dangerous, alcohol, drugs, unsupervised parties, criminal boy friends hanging around, a-parents should let it go. Hey, we're not even divorced or APs, but Mr. B always has been the fun guy. When the kids were small, he'd come home from work and shout, "Mr. Excitement is BACK!!! ", and they'd cheer. Apart from the occasional twinge of envy, I was just glad they had/have such a good father. Of course, now he gets to help them with their income tax and health insurance forms, heh heh. So sorry for posting again, but after I posted, I browsed some more on John Rosemound because I was curious to find his thoughts on younger children- my earlier search only turned up advice related to teens. Like I said, I found his advice terrible, and more searching only made me more concerned. I looked up most of the info stated in this article linked below and found it to be accurate. From his book The Well-Behaved Child: Discipline that Really Works: "Finish toilet training quickly. If one of your kids refuses to use the toilet despite being old enough to do so, get rid of all diapers and training pants and have your child war only thin cotton underpants and a t-shirt. Then have your child drink water often and instruct them to go to the bathroom whenever necessary. If your child has any accidents, send him or her to his room for the rest of the day and allow him or her to come out only to use the bathroom." As the mother of a little one who has struggled with accidents, this is awful advice. He dismisses the findings of hundreds of studies, around the world, showing that spanking is harmful in favor of one single, questionable paper that states it is not. (the Larzelere and Baumrind study on spanking is Rosemound's sole "scientific" confirmation for his beliefs, and he dismisses out of hand any other study to the contrary). In spite of being a psychologist, he has disavowed himself from his own field of study and work, frequently encouraging parents to stop seeking counseling (look up his case in Kentucky where he advised the parents of a toddler who was abused to stop his counseling since he wouldn't remember the abuse anyway). He claims parenting would be much better if we stopped listening to psychologists and parented like our parents did 50 years ago, completely ignoring that the world is not the same place that is was 50 years ago (take social media alone as one example today's parents struggle with that our parents did not). He doesn't believe ADHD exists. I could go on, but I am not seeking to google dump here :) just make sure readers know the questionable background of the person dispensing this horrid advice. Hi, I may have posted a long time ago, but I'm re-introducing myself. I'm an adult who was adopted via a private adoption in the 80s. An ex-boyfriend has a sister who was adopted. It was an in-family adoption (cousins, if I recall) and at the time he & I were together, she had no idea who her bio parents were. I ran in to him & found out she had been told while in high school. My boyfriend said his parents gave her the option of living with them & it lasted about a week. I was extremely impressed that his parents offered without her asking them to do it. They genuinely wanted what was best for her, whatever that meant even though I assume it was gut wrenching. Personally speaking, my desire for information has not been out of feeling loss, but because I have an autoimmune disease. As there can be complications & as I've become sicker in the past few years, I've wanted my history. My biggest hurdle? The state of Utah. I've had so many roadblocks... and I'm nearly 30! It is extremely bothersome from a pure human rights perspective that I'm not entitled to my complete file as any other person would be if they're not adopted. I believe I found my biological grandmother, but she was extremely cold to me. The number had my bio mother listed as a contact, too, so I'd called asking for her. I've never been put thru & eventually gave up. The whole family blocked me or deleted Facebook profiles, etc. so I've let sleeping dogs lie. I've also had a traumatic brain injury caused by a terrible ski accident & because of many of the lingering issues, the stress of this search was detrimental. I may or may not pick it up in the future, but for now, I'm working on my health. In any case, regardless of what I want/do not want to do regarding a personal relationship, I cannot, in good conscience say I agree with withholding all information. Much as I realize some people want to protect their so-called, 'investment,' we're not talking about managing a brokerage account! How can people lose sight of the fact that all involved are real human beings with feelings & emotions that may not fit in to a plan. I fully believe in open records if only because it is the humane thing to do. It's a personal choice as to what an adoptee does with them, but at least they should be available, period. Not knowing the entirety of the situation in the post, I won't weigh in on what I believe to be best (as there would be a number of questions I'd have) however, this guy seems to give horrid advice. It appears based purely on his own ideology & without any regard for circumstances, the individual(s) involved, etc. I will say that I'd want a real expert to help these parents navigate this. At best, he ends up with two families who love him... that in mind, I believe it becomes less likely when presented with advice like these parents received. Boy, the adoptive mothers are getting the thin edge of the wedge here. Also why is the choice of language so mean-spirited. Why can't birth moms say their child was lovingly placed with a family that would nurture them, raise them and love them always. Rather then "i gave my child away" and the adoptive child learn that "they weren't rejected or abandoned" (as far as you know) but lovingly placed with a caring and nurturing family. Use of positive language is important and could really help. Moms can't say their child was "lovingly placed with a family" because they weren't. Contrary to adoption industry propaganda, mothers didn't make a "loving choice"; they made a desperate choice or no choice at all. Many simple accepted their fate like a man on the gallows. In the closed adoption era, mothers did not know who would get their child so they had no way of knowing if the family was loving and caring or mean and cruel (as some were). Mothers trusted the adoption practitioner who pretty much placed children with anyone who could pay their fee. Today American mothers can know something about the adoptive family but potential adopters are coached on how to appear loving and caring so their appearances may mean nothing. Foreign women are not so lucky. Their children may be placed with monsters. The truth is that moms did not reject or abandon their children. They simply did what they had to do. Thin edge of the wedge here? Have you read any pro adoption blogs by adoptive parents, or even better, some of their pages on Facebook? There is a group so virulently pro-adoption they are trying to shut down Facebook pages run by adoptees and birth mothers who do not think adoption is a glorious end for babies. We have a new adopted 14 year old daughter whom we have had for two months now and she has started sucking her thumb and acting somewhat like a toddler!She told us the other day that she wants to wear diapers and be a baby again! A week ago last sunday,after mass,she told us she had to use the bathroom so we let her go and instead she snuck into the parish and stole two disposable diapers and a pair of toddler size rubberpants which i found hidden in her bedroom! the husband and i made her put one of the diapers on and the pair of rubberpants and wear them and she was happy being like a baby!she asked us to get her more diapers and rubberpants,but we told her we would think it over.Should we get her the diapers and rubberpants and let her wear them? I don't know if this is a serious comment or not, but if it is, you and your daughter immediately need to get to a therapist.